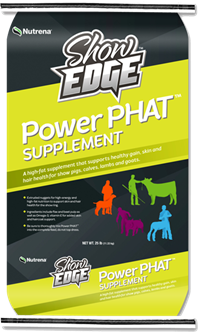 At the start of the feeding period, fill calves on hay and gradually introduce Show Edge Show Calf Feed over time, starting with 2-3 lbs on the first day. Divide into two equal feedings. 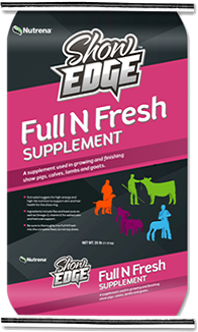 Once calves are on full feed, feed hay at desired rate. 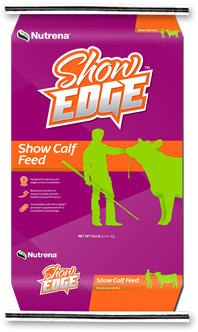 Hand feed Show Edge Show Calf Feed a minimum of twice daily.